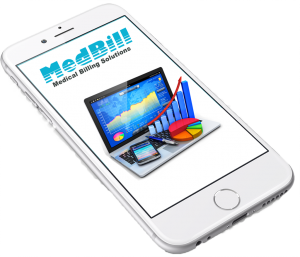 Our team at MedBill was founded by two physicians in Fort Worth, Texas, as an outsourced billing service. Most billing companies are not connected with their physicians or patients and it was our goal to transform and improve that process. It was then that MedBill was created to have direct insight to the needs and expectations of hard-working physicians. Our clients receive services tailored to fit their office needs. With experienced, certified coders on staff, MedBill is designed to reduce office work-load, while maximizing profitability. MedBill offers multiple options to fit any providers’ needs. From the entire Practice Management with proficient billing services and EHR system, to only Practice Management, or simply just the utilization of the scheduling system. Already have an electronic health record software you love? No problem. Our practice management software will integrate with most EHR systems. 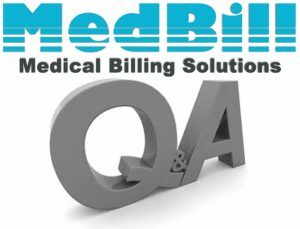 How do I get started with MedBill’s medical billing services? Please phone 817-882-6860 or email support@medbill-solutions.net to request a no obligation free accounts receivable (A/R) audit. We will request several reports from you that will show your current monthly volume, and current A/R balances for aging accounts. Once that is complete, we will give you a formal proposal for services and can usually begin within 4-6 weeks depending on the scope of the project. When we have received a signed proposal, we will then sit down with your key management personnel and complete a transition plan and timeline for your project.